← Tastes that touch my soul. Did I express just how ecstatic I am for summer to finally be here? I get to shed some layers of heavy clothing and show off some skin. 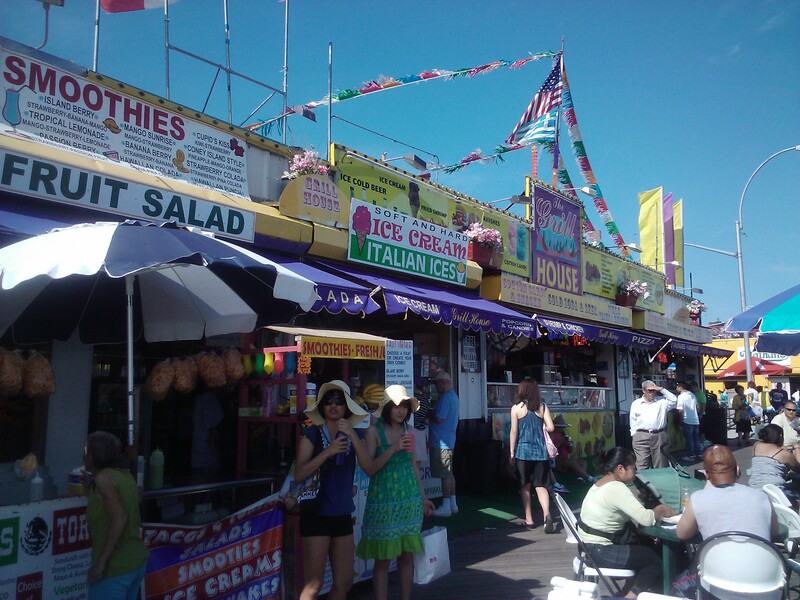 But most of all, its an excuse for me to indulge in delicious summer fare (guilt – free). For some reason my metabolism speeds up during summertime, as I become more physically active. The sunshine makes me strong, like bull. 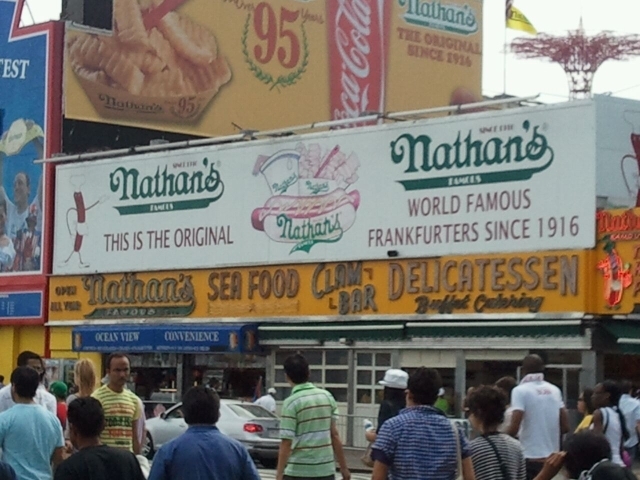 Nathan’s famous hot dogs, the taste of summer in the city at any time of the year, a taste of true New York history. 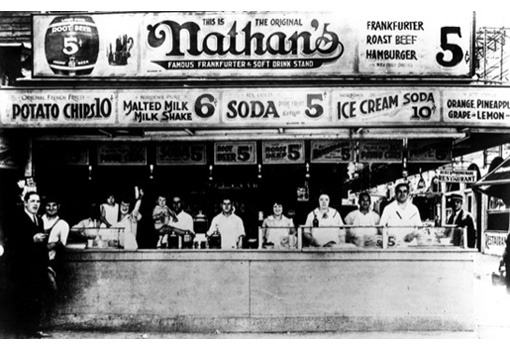 Nathan’s famous hot dogs was founded in 1916, by Nathan Handwerker, a Polish immigrant with an American dream. His wife, Ida was the mastermind behind the secret recipe that put these tasty dogs on the map. 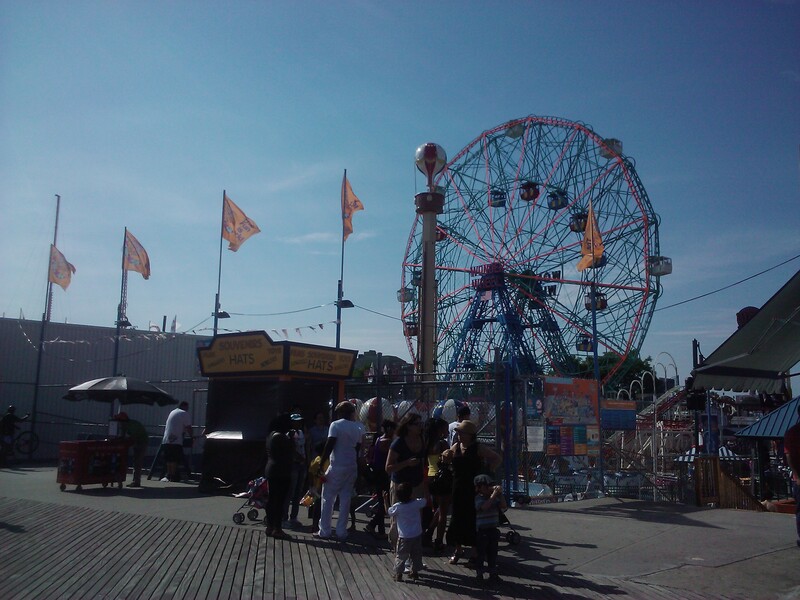 He began his business with a small hot dog stand in Coney Island, New York (Brooklyn, baby!) Nathan’ s delicious hot dogs gained instant notoriety and celebrities of the day like Al Capone, Eddie Cantor and Cary Grant were regulars, just to name a few. 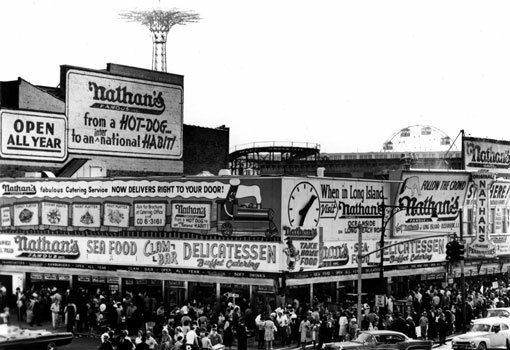 The hot dogs gained international attention in 1939, when President Franklin D. Roosevelt served Nathan’s famous to the King and Queen of England. These tasty hot dogs are made of quality pure beef and are available in different sizes, too! 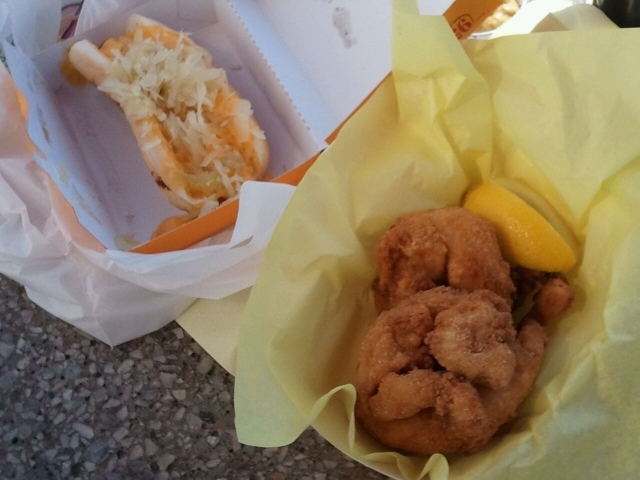 Their menu also includes crispy golden crinkle cut fries, hamburgers, Philly cheese steaks, fried chicken, soft shell crabs, clams on the half shell, corn dogs, corn on the cob, deep fried frog legs and Arthur Treacher’s fish & chips. Personally, I can attest to the utter deliciousness of these hot dogs. Imagine: a crunchy bite through the soft bun and casing and then a rush of fresh flavor flows into your mouth and onto your taste buds. A smile begins to form on your face, and you realize, dude, this is what living is all about. The enjoyment of the simple things. Pair it up with an iced cold beer and you are set! 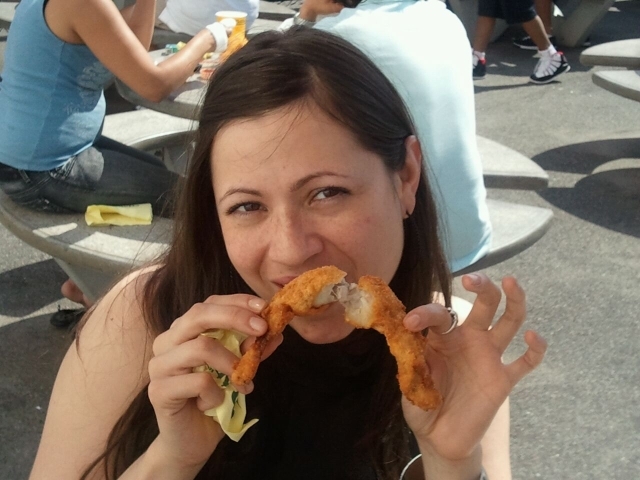 I am eating deep fried frog legs. I mean it when I tell you, it really does taste like chicken! 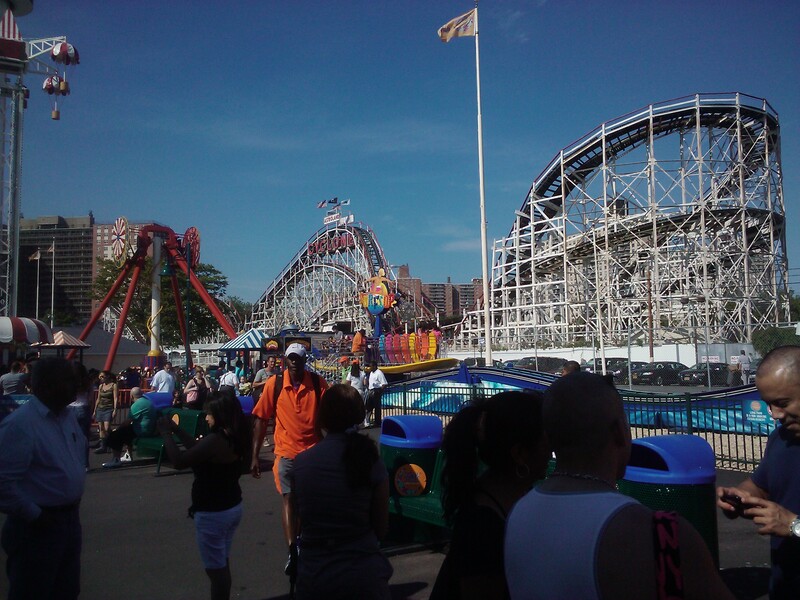 I will not deny the fact that there was a point in time when you couldn’t even pay me to set foot on Coney Island. It was like a decaying dream that slipped the mind of New York City. It was dirty and rundown, though still in business. 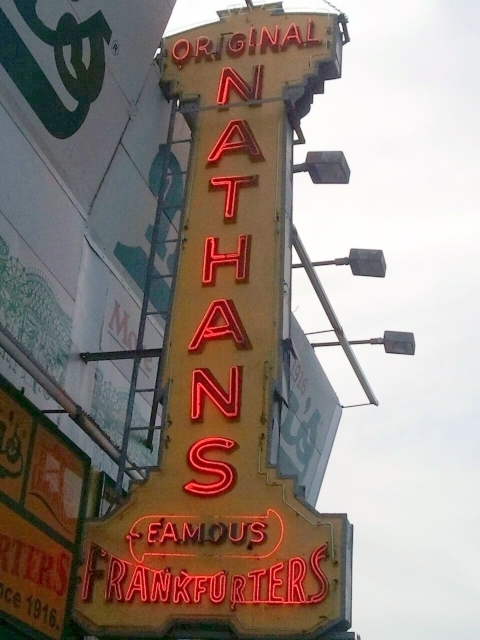 Nevertheless, Nathan’s famous has remained a popular destination for the serious hot dog lover or dedicated foodie. 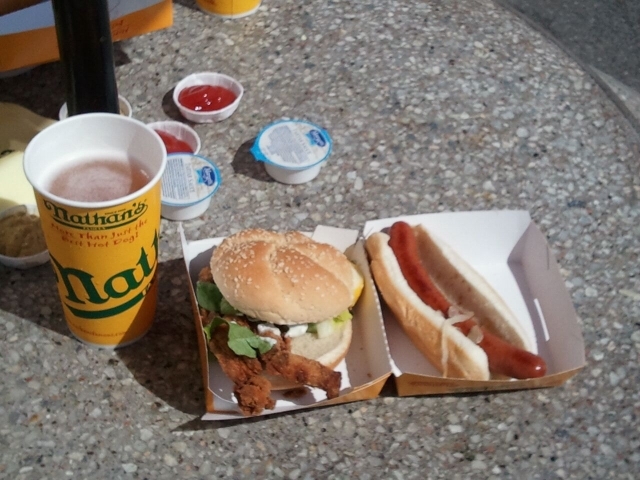 Soft shell crab sandwich and Nathan's hot dog with cold cup of Coor's (not light) draft beer. 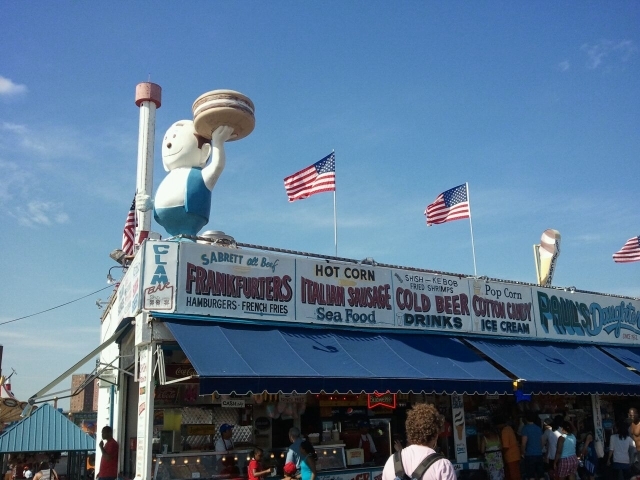 They slowly began reconstruction by building a brand new stadium for the minor league team “The Brooklyn Cyclones.” Followed by the re – opening of “Luna amusement park.” Eventually, all of Coney Island will be rebuilt back to it’s original glory, complete with side shows, hot dog eating contests (gross!) and Mermaid parades.